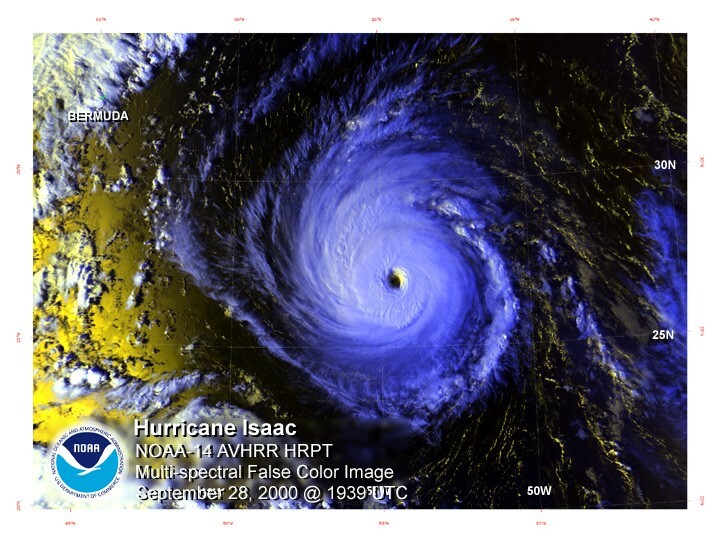 The historic hurricane season of 2005 remains the most active and destructive on record in the Atlantic basin. With a final tally of 28 named storms, 15 hurricanes and 7 major hurricanes, total property losses exceeded $159 billion with nearly 4,000 deaths. However, at this point in the season (September 5th), the “n” name of that season was born, Tropical Storm Nate. The 2012 season has far been extremely active with 13 named storms, 6 hurricanes and no major hurricanes. In the 2005 season, 6 hurricanes had also formed, but 4 of those developed into major hurricanes including the monster Katrina. The 2005 season, wound up being the most active on record, and 2012 is so far, blowing away (no pun intended) early season forecasts that predicted near normal, to a below average season. Leslie, and Michael are currently swirling in the Atlantic. No saying how the rest of the season will go, but this year was supposed to be relatively calm according to experienced weather experts. Is the climate changing? There is a difference between “climate” and “weather.” What is termed “climate” has “changed” throughout the 4.5 billion years that Earth has been in existence. It has been cold and then hot and then wet and cold and then hot and dry and then cold and dry and then wet and hot and on and on in a planet wide way. There have always been regional differences. Even the amount of land and sea has fluctuated. Human records are wonderfully variable and short term and on the order of perhaps 150 years for substantive record keeping, or in another way, the rust point at the top of the needle on the Empire state building, less than one-tenth of an inch thick compared to the 1200 feet or so height of the building representing Earth history.